Our friendly and professional team strives to make each dental appointment a pleasant and positive experience. Not only does Dr. Olvera maintain the highest professional standards, but he also wants patients to feel confident in their treatment and well cared for while with us. Our personal approach to dentistry puts patients at ease and allows us to develop long-term relationships with the families of the St. Petersburg community – something we enjoy and appreciate. We look forward to welcoming you to Dental Dimensions. 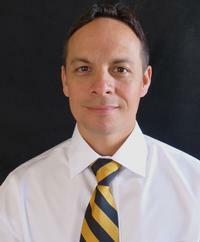 Dr. Jason Olvera, a native of Davenport, Iowa, is a graduate of the University of Iowa College of Dentistry, where he received his Doctor of Dental Surgery in 2002. Dr. Olvera successfully passed the clinical board exams administered by the Central Regional Dental Testing Service in 2002, which is comprised of seventeen state boards of dentistry, and the Florida Dental Board Exam in 2004. On a yearly basis, Dr. Olvera continues to take more continuing education hours than required by the State of Florida. Currently, Dr. Olvera travels to Atlanta twice a year to take part in a study group guided by Drs. Todd C. Davis and Kirk A. Nelson. Past studies with Dr. Frank M. Spear from 2007 to 2012 provided Dr. Olvera with an opportunity to learn from one of the premier educators in the field of restorative and esthetic dentistry in order to constantly advance his skills to better treat patients.